do you know all the colours? Sorry Beckstar i don't know. I'm guessing they are all black. I'm expecting mine to arrive in Monday's post. I'm hoping its not a cheat as it is a registered business on ebay. Woo-hoooooooooooo!!! I received mine in todays mail. Yes its the real deal!!!! As nudgesgirl says the mood stone changes colour. It has the 3 waves on the back as well. If u have ordered 1 u will not be disappointed. wow! I love mood rings! The seller has just upped the price to $24.99!!! 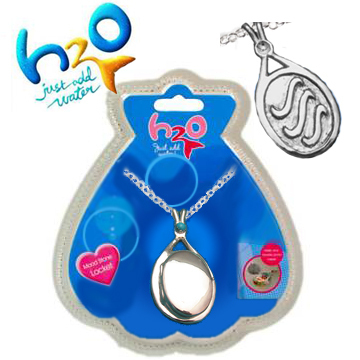 Don't think they realised just how POPULAR the lockets would be & how many pple have been searching for them. Bit curious so Just asked them why - said because their new supplier charged them more. Already got mine coming so I'm sorted but at least they're the real thing, I suppose...... maybe new supplier means heaps more lockets available, not just 20, but who knows!!! I"m curious to know why this one particular business in the world has them. They are a product by GoldieMarketing here in Australia but made in China. Perfectlypackagedpresents has sold well over 50 & I just think they upped the price to make a bigger profit margin. Hopefully not! Anyway, got mine now and is the perfect present so as long as they're happy, so am I!!! I hope whoever receives the locket will love & appreciate u forever. I know I do my Mum as she has searched & searched but stopped short buying from sterlingsilverart in Canada. MY MUM ROCKS!!! i can't find them they don't have any. I already got it. I got 3 of them. Im am SuperSelenafan (I made another one). 3 weeks ago there was 3 lockets on ebay. 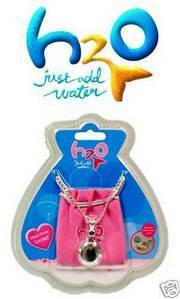 if you go on ebay.com and tipe in h2o just add water lockets, go down the bottom one and it has the one from Canada. This is the picture to click on at ebay! the crystal one looks nothing like the ones they wear. Apart from the rope bit. The colour is off. It's a deep blue! The Season 3 Locket is darker blue. 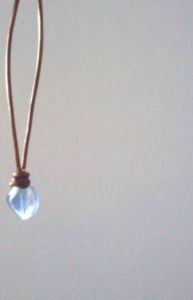 I'm not really looking for a necklace that is exactly like the Season 3 ones, i'm looking for one that I like and that suits me. All the Season 3 lockets are in the UK and Canada. Farahh, its on eBay Australia. heres the link. then sign up. its free! I have it too. I got mine in August and it looks fabulous on me! but you other s here say theyr slod out already?? i haven\ t ven got as far as checkin`out that one yet! and i still needs to svaeup moeny for it too..! it is porbably 1 that bough SO may just to that 1 slef and even freinds ath its 0 left to me..
will i ever have it ?? why is it like that?? wasent my life sad ENOUGH already?? was at my dntiest to day ahd foud 3 hoesl and my sadness dosenet end.. and now i am outta reach fopr shuc a lokcet and stoen aswell?? but its just TYPICAL me.. " ist YOUROWNfalut when tolate out!" and such is all i alllways have heared.. dont matter from hwom..
and ist TOO esay just to sya shcu amnd belive it gets good again as it DOSENTY!! øh?? why si aøll SO sqeared?? i am good but gte s 0?? and i dont whnan be BAD in oorder to get thinsg me no! `caue thats NOT the way to do iteh?? hope youdont get upset and .. i mena.. i writes this as i became so sad over readin`that is was meptyed before i was evenm in to see myslef!! and ist NOOTHER pleces tha EBAY to get it from?? if i just could ask" can yopu here help me??" and then i had it all..?? way to may say:" were just tryin a help.." well are they REALLY that?? ist noggod in doin any if ist just makin`things even x2 worse than it was eh?? and i mena this GOOD..please! dont take it as a threta or any suhcv i dont write this of ANY such reason atall..! and i nned that locket AND a blue stone..!! I can not locker with tHè moodstone goj ding. I ame 10year and i ame grom Netherland. I can't not de moodstone founding. where did you get it whenever i look on ebay all that shows up is a locket that is way off! !where else can i look, i am going on a cruise soon for vacation and want to pretend to be a mermaid with my friens..........PLEASE TELL MEEEEEEEEEEEEEEEEEEE!!!!!!!!!!!!!!!!! IF YOU WANT A SEASON 4 OF H2o, READ THIS!!! Copy and paste on a different posts to support. READ THIS! Jonathan M. Shiff Productions is debating making a series 4. It would sort of be like a remake. The original characters are too old to be in it. A girl named Reed is making it happen. If you want a remake/series 4, email jclevers@jmsp.com.au, ksouvlis@jmsp.com.au, and jadams@shiffco.com.au and support Reed's plan. Don't give ideas, just support. If ideas are given,﻿ they will be deleted. H2O! Does anyone know a website or some where I can get 3 for a reasonable price need answer ASAP please???!!!! we are also looking for resellers in varios countries, preferably H20 fans! 4e sestra mi utre rojden den i mi kaza 4e za podarak iska gerdan4e na H2O!!!!! !